Lake Manyara is a small reserve, but it has a higher density of plant and animal species than the far larger Serengeti National Park. 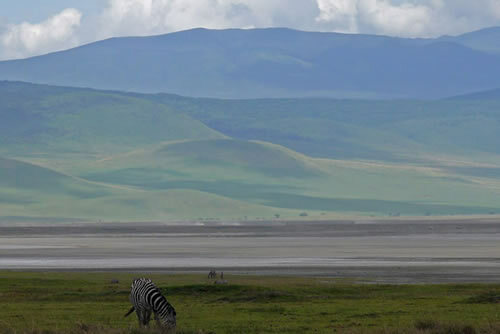 Located between Ngorongoro Crater and Tarangire National Park, Lake Manyara is a national park of roughly 330 km2 (130 square miles) in size with around two thirds of the area covered by its salt water lake. 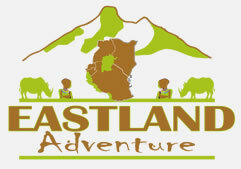 The Great Rift Valley is clearly seen here, with the escarpment descending roughly 500 meters (1640 feet). Further south, four different rivers tumble down the escarpment and wind their way into the lake. Lake Manyara is a birding area and over 400 species of migratory birds can be seen in such a small area. Because Lake Manyara has no outlet it is a good habitat for flamingos and other water birds which are drawn to the high levels of salt and white soda in the water. There is a large number of raptors here, and over 50 diurnal birds of prey have been recorded. Birds found in the Lake Manyara region include: Ash starling, Gray-headed kingfisher, Palmnut vulture, Pangani longclaw, Peter’s twinsport, Raptors, Silvery-cheeked hornbill, Spotted morning thrush, Yellow-collared lovebird. An impressive number of large animals reside in this area and Lake Manyara has a higher concentration of baboons than most parks in Africa. Troops of several hundred baboons can often be seen here, which is a sight not to miss. Other animals to be found in Lake Manyara area include: buffalos, Cape clawless otter, cheetahs, Egyptian mongoose, elephants, giraffes, hippos, impalas, leopards, lions, short-eared galagos (or bush babies), warthogs and wildebeest. More information on Lake Manyara can be found on the Tanzanian National Parks site. Day and night safari drives can be enjoyed at Lake Manyara. This is also an excellent area for a walking safari, including a relaxing walk around a famous Tanzanian village called Mto wa Mbu, which means ‘mosquito creek village’. Here you can encounter more than 120 different Tanzanian tribes. Another good activity in Lake Manyara is a mountain bike ride. This also allows you to cover more ground in a shorter span of time.